Apple is building a "significant" business centered around creating original, scripted television shows and possibly even movies, according to a new report by The Wall Street Journal. The content would be made available on Apple Music, falling in line with previous reports and accompanying already-announced projects for the music streaming service, including Carpool Karaoke and Vital Signs. Apple executives have told Hollywood that the new original content will launch by the end of 2017, according to the new report. In terms of specific genres, HBO's Westworld and Netflix's Stranger Things were both used as comparisons for what Apple is aiming to produce on Apple Music. These proposed series and movies "don’t have any particular relationship to music," unlike Carpool Karaoke and Vital Signs. Rumors about Apple meeting with Hollywood executives to create original TV shows for Apple Music or iTunes have existed since last year, and now Apple is even looking into producing original films for the service, "though those plans are more preliminary," according to people familiar with the matter. The company is said to have been in talks with producers over the past few months about purchasing the rights to scripted television programs, as well as seeking out marketing people to come on board and promote the new content. The move is looked at as a way for Apple to gain an edge in its competition against Spotify, rather than become a streaming contender alongside Netflix and Amazon Prime. 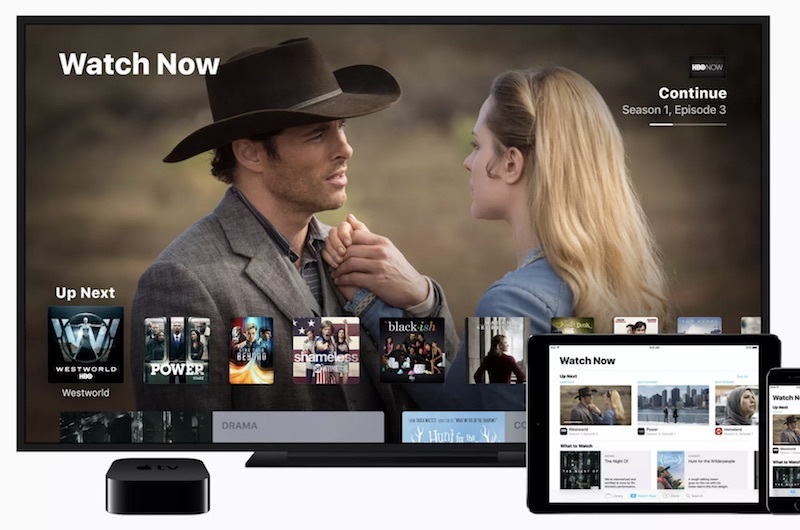 Although most of Apple's plans are still steeped in secrecy, the company has reportedly told producers an advantage it hopes to offer is that it would share its viewer and demographic data on the people who watch the new shows. Netflix has remained infamously private about the specific number of viewers who watch its streaming shows, making it hard to tell what is a successful launch or not, "which has been a source of contention among some in Hollywood." Last Summer, Eddy Cue said that Apple is "not in the business of trying to create TV shows" when asked about the future of the company and its past relationships with Hollywood, where it once spoke with network programmers to get a live-streaming TV bundle launched before ultimately shelving the plans. At the time, Cue said that Apple would "help" producers whenever it had the chance and that any TV project would serve as "complimentary to the things we're doing at Apple Music." The plot will be very thin. Apple should build an actual Westworld instead. Great. In related news, the Mac R&D budget was slashed, and the team re-assigned to "write awesome new content". So Apple abandons some products because they're not part of a core focus, or at least seemingly abandons them. Now they imagine themselves a media conglomerate? Talk about a weird pivot. If Apple tries to go this route then they will have utterly jumped the shark. If they do this I think they really have to look at themselves and ask what kind of company are they? They used to be a computer company, then a device and part time computer company. Are they trying to be Amazon? Comcast? Warning! Identity crisis ahead! When you run out of ideas go to Hollywood to make them. Westworld was very, very, very good. It'd be hard to compete with that. Welcome to MR. Judging by your first comment you'll fit in just fine here.